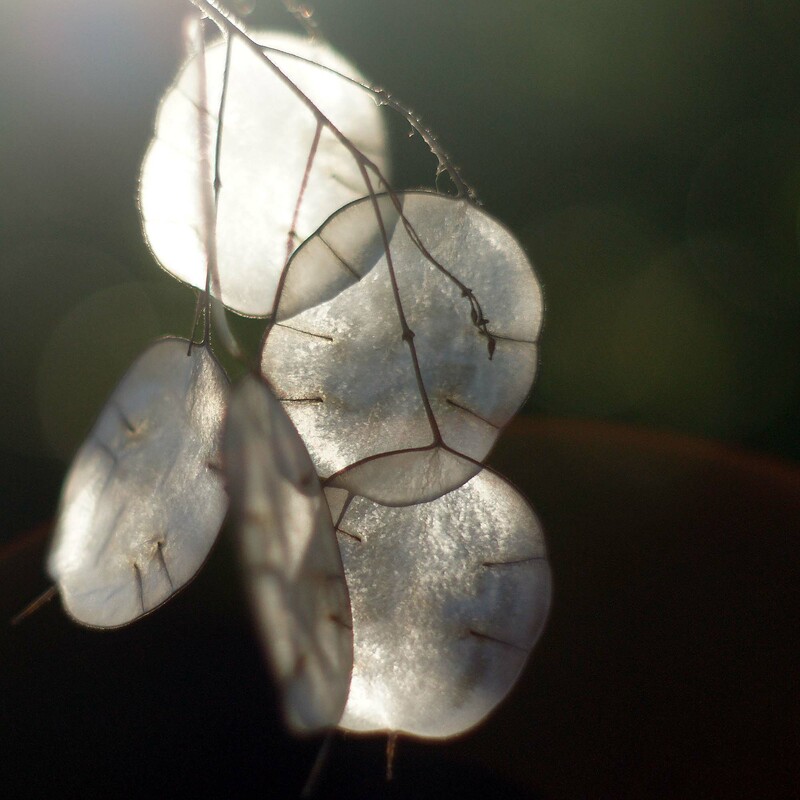 The ethereal, silvery Moon-like discs of the Honesty plant catch alight in the evening sun, and are one of my greatest delights in the garden at this time of year. 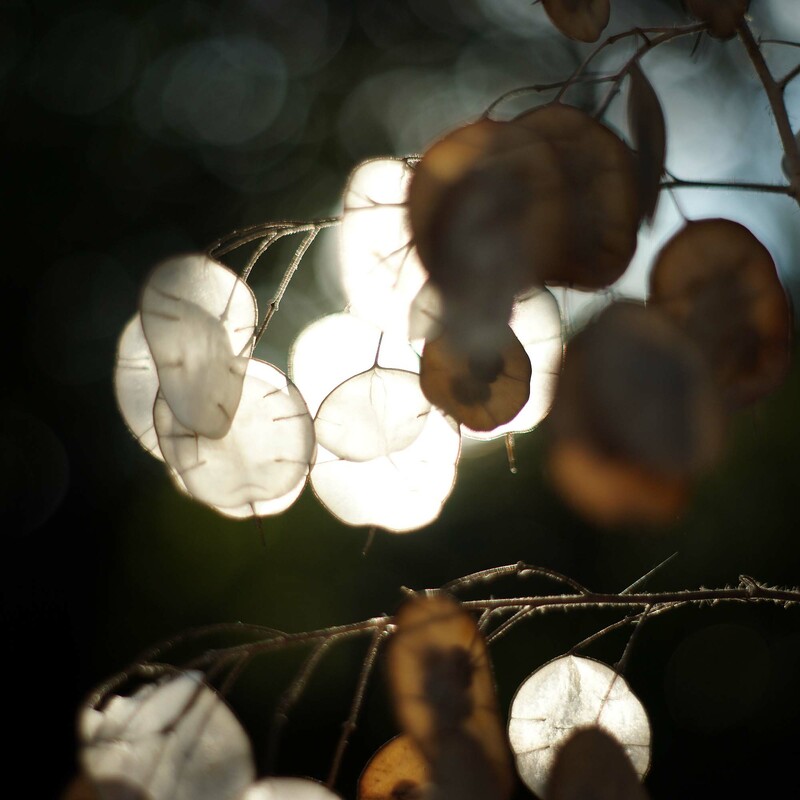 I have always been captivated by Lunaria, named so for its likeness to the moon; not only does it give a beautiful display of dainty butterfly-shaped flowers in Spring, it also comes through with rich, circular seed pods. As the wind blows, and eager hands touch the papery shapes, the seeds float away leaving exquisite shimmering satin coins. Also known as the ‘Money Plant’, folklore tells us that one of these ‘coins’ kept in a purse or pocket will attract fortune. Lunaria biennis is easily grown from seed, developing lush heart shaped leaves in its first year, flowering in the next. 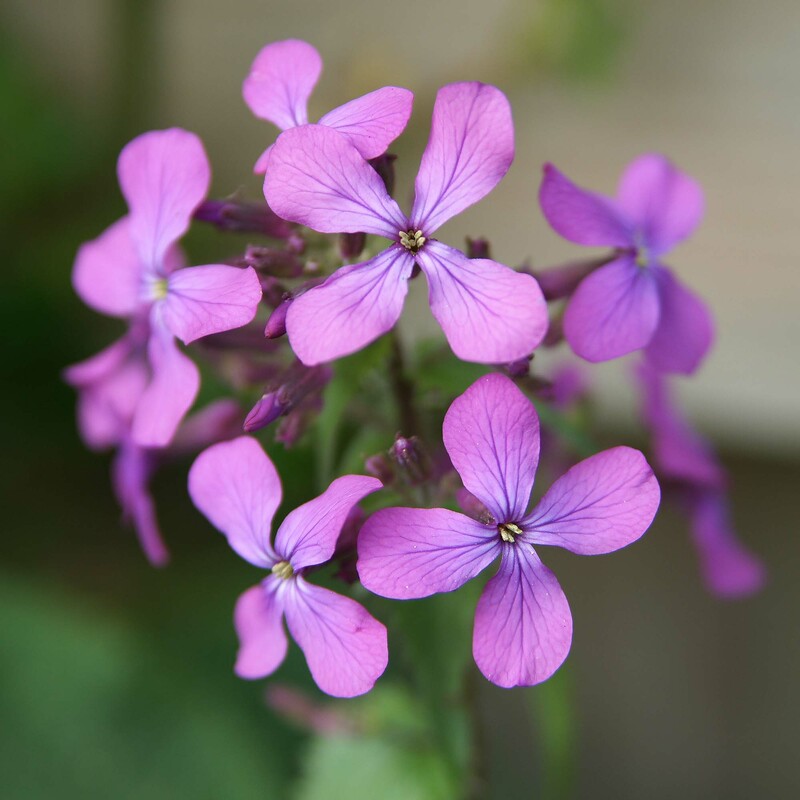 There are other varieties too, the annual ‘Lunaria annua’, and perennial ‘Lunaria Redviva’.